Queelister's Place: Kaela As An Angel! 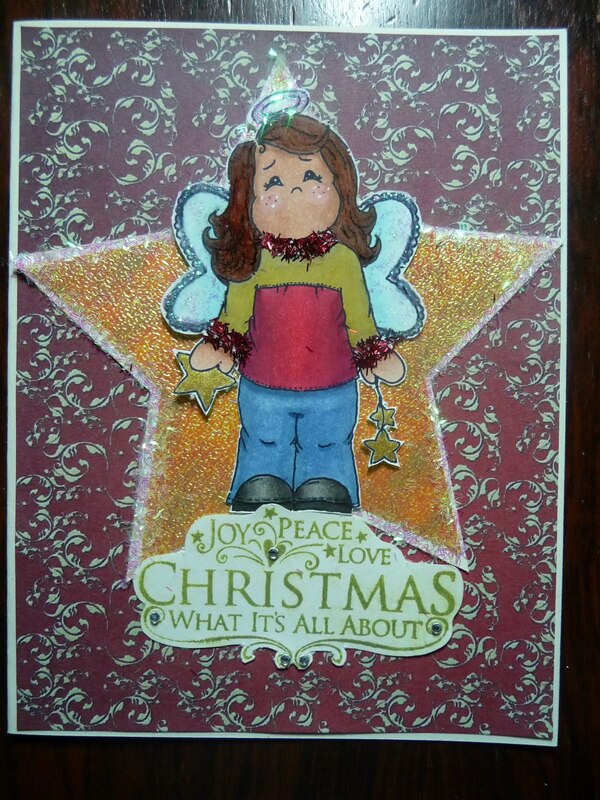 If you played last week you would have received this darling image of Kaela dressed as an angel free from Faith over at Delightful Inspiration. If you didn't play, than you can get it here and play along in her progressive challenge for the rest of the month. 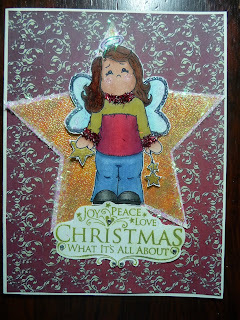 The sketch I used is from Sassy Lil Sketches and over at Double Delights they are looking for a little Sparkle. very sweet angel image and holiday sentiment. thanks for using this sassy lil' card sketch! This is such a sweet card. Nice take on the card challenge!